These pre-assembled, hand-painted and fully-detailed to scale Built-&-Ready Landmark Structures are great for building cities, towns and villages. Each is individually molded with high architectural detail. The added detail really makes a difference. It's the little things that count. Every layout needs a general store—the social hub of early-day, rural America...where town residents played checkers and chatted while others shopped for their groceries, household items and sundries. 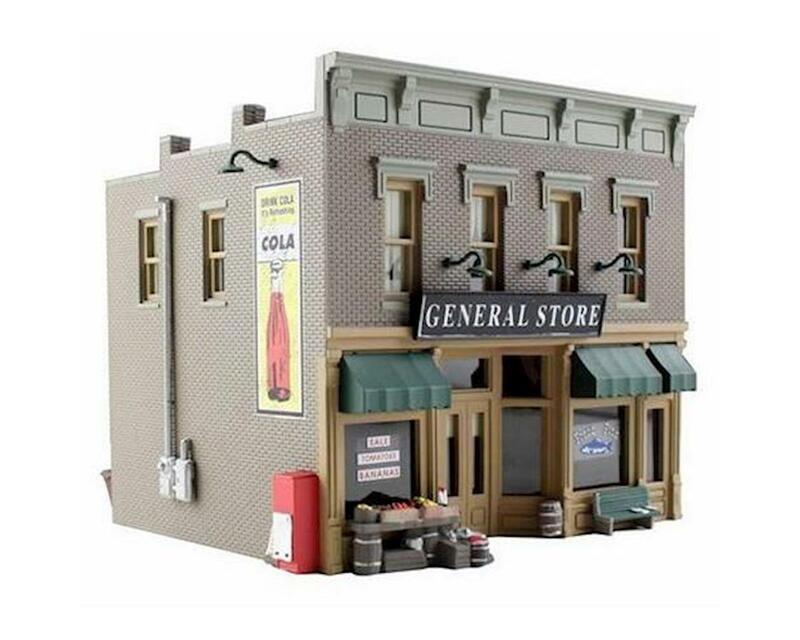 Building details include awnings, bubblegum dispensers, signs, curtains, light fixtures and more! Footprint: 2 7/16" W X 2" d X 2 1/4" h.